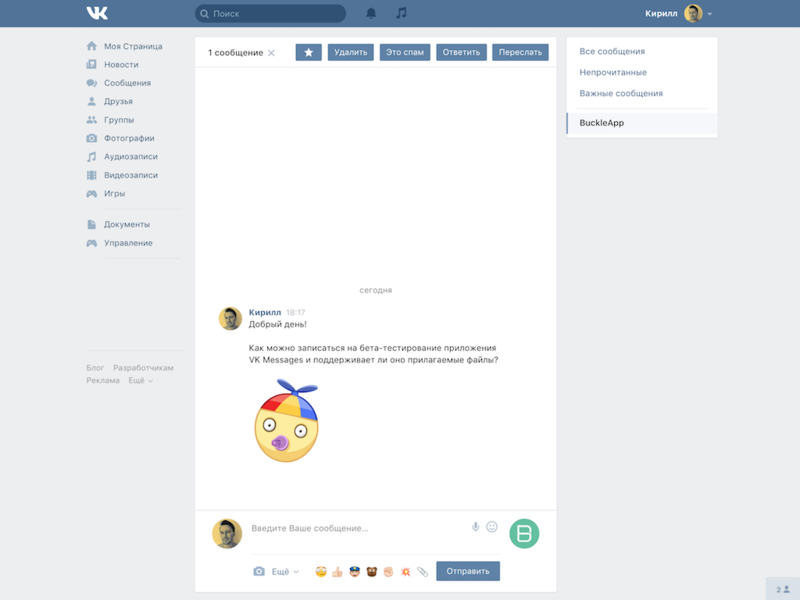 This app lets your agents receive and reply to the messages from VKontakte. 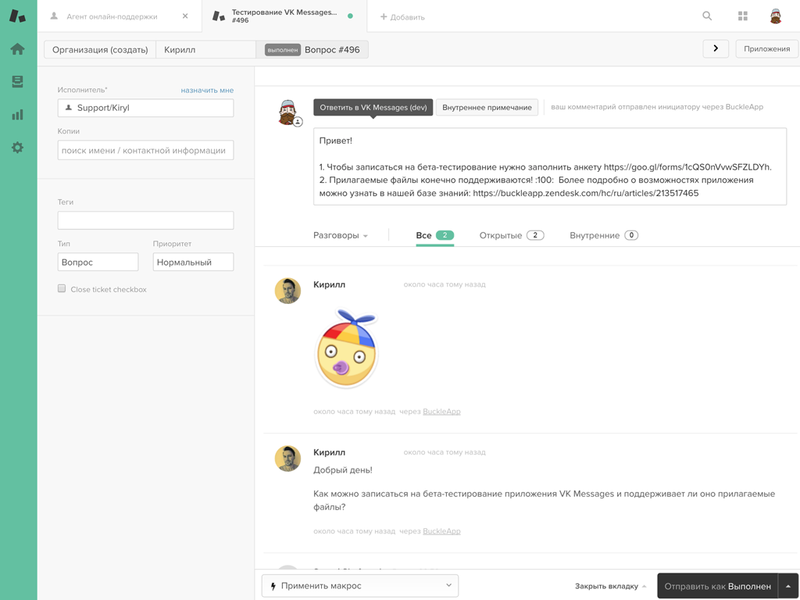 VK Messages turns messages from VKontakte (VK) into Zendesk tickets and allows your agents to reply to such messages straight from the agent interface. Visit our webpage to read the description of the app in Russian. 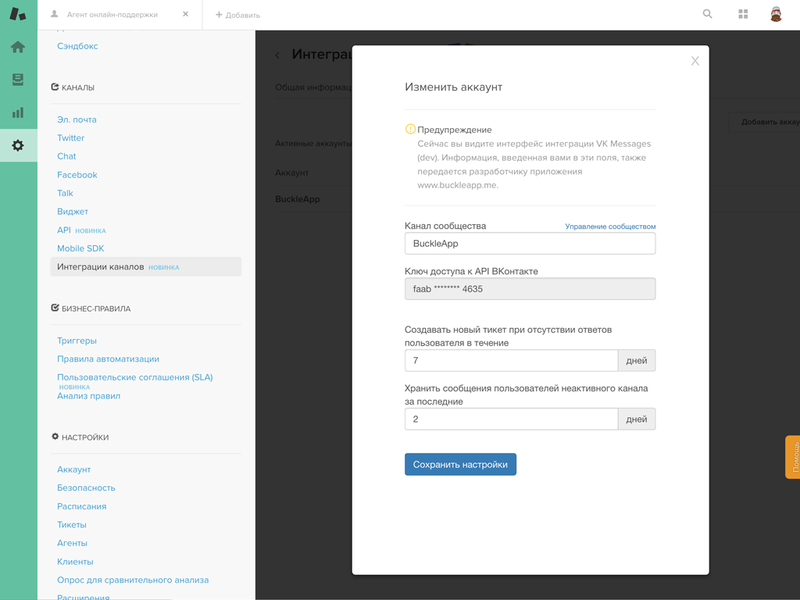 setting a custom name of the connected channel (VK community) to be shown in Zendesk. You can easily set up triggers as the connected via the app channels (VK communities) will be shown in Zendesk as channels named after your VK community. Please note, that the current version does not support yet the messages sent by VK users as comments to the posts on the wall on your VK community, neither in the discussions. Application is free to use but limited to 50 messages sent by your agents per month. 14-day free trial will help you to estimate your real monthly consumption and chose a fitting your needs subscription on our webpage. By enabling this app, You agree to the BuckleApp’s Terms and conditions. Read our documentation for setting up VK community as a channel. Want to get your App in the marketplace?